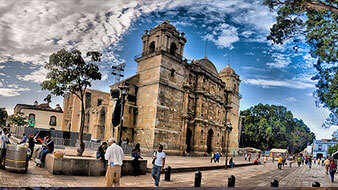 Santo Domingo is an Ex-Convent and one of the most important churches in Oaxaca. With gold-leaf covered altars and walls, eighteenth century religious oil paintings and huge courtyards and atriums, Santo Domingo will take your breath away and transport you back in time to the Spanish Conquest. 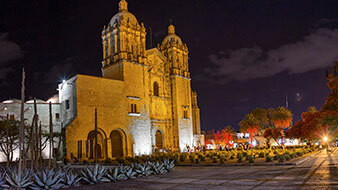 The Cathedral is located in the Zócalo. The front of the church consists of a large doorway and two church towers baroque style from the 18th century. Its composition consists of three main sections and five merging walkways bordered by Corinthian wooden columns which create a design of fifteen quadrants where doorways, sculptures and reliefs are strategically placed. The oil paintings which deserve a special mention are the one representing Saint Christopher, dated back to 1720, painted by an anonymous artist and the oil paintings of the sacristy, especially the one named, The Triumph of the Church. The majority of the artwork, especially in the chapels, comes from the nineteenth century. In other places inside the church you can find many other portraits and relics including the remains of the Cross of Huatulco. 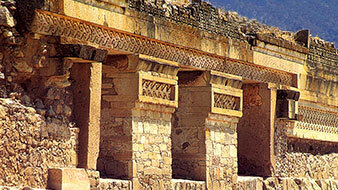 Mitla was the residence of the Zapotec priests and nobles dating back to the Classical Period of Monte Alban from 100 to 650 a.c. reaching its climax in the post-classical Monte Alban period from 750 to 1521 a.c. The layout of the city was structured in five parts called: The Columns, The Church, The Stream, The Adobes and The South. There is an interesting Municipal museum in Mitla where you can see the original layout of the area dating back to the seventeenth century. In front of the municipal museum is the Frisell Museum that hosts the most important Zapotec pieces in Mexico. El sitio arqueológico de Monte Albán. Monte Alban is a magical place where you can still feel the presence of the past. 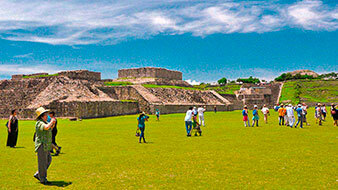 This prehispanic city was the ancient capital of the Zapotec empire spanning the years of 500 b.c. to 800 b.c. and one of the first cities created in the New World. 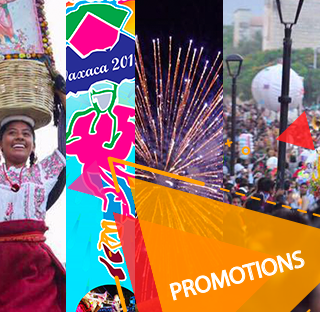 It´s founders came from the nearby valley and spoke an ancient version of the Zapotec language. 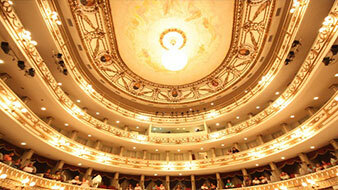 An icon here in Oaxaca, the Macedonio Alcalá theater is very much a part of Oaxaca´s extensive history. The theaters architecture shows various European influences especially French in its construction and is still in use today and has the capacity to fit over 800 people in its interior. The theater is located two blocks northeast of the Zócalo.